This stylized horse coloring picture shows a cavalry leader pointing the way. Awesome silhouette outline of a horse and rider. This PDF prints to 8.5x11 inch paper. 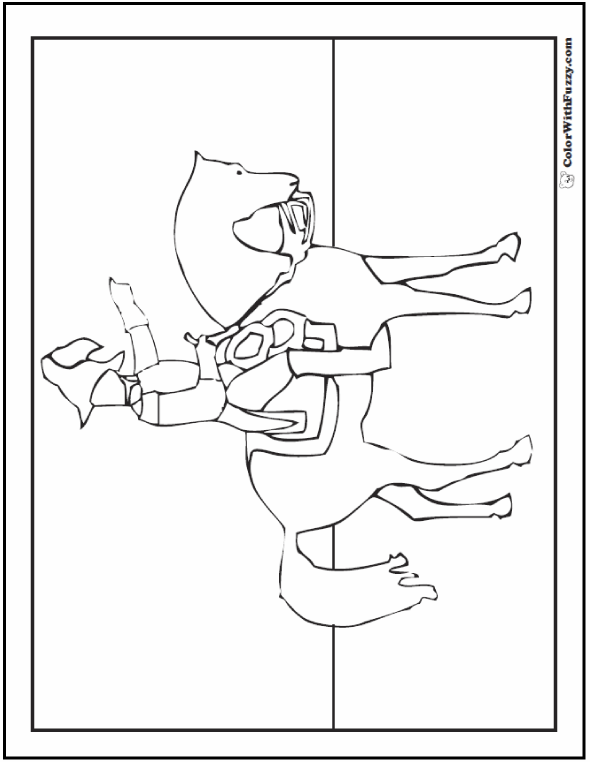 Make the charge with this horse coloring picture!